Pre-owned vehicle pricing includes all offers and incentives. Tax, Title and Tags not included in vehicle prices shown and must be paid by the purchaser. While great effort is made to ensure the accuracy of the information on this site, errors do occur so please verify information with a customer service rep. This is easily done by calling us at 215-330-0539 or by visiting us at the dealership. When it comes to finding the perfect used car that suits your needs and meets your budget, nothing compares to finding used cars for sale in Philadelphia online. 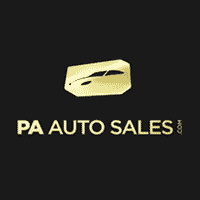 Car shoppers can breeze through the buying process by simply taking their search online, making online used car resources a great way of getting yourself a used car in Philadelphia, PA.
PA Auto Sales	40.0982017, -75.0309712.